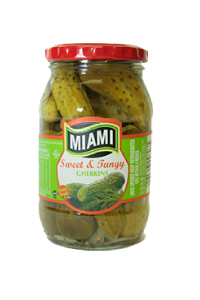 Crunchy fresh gherkins pickled in a sweet & tangy flavoured vinegar brine. 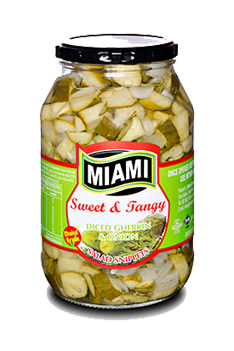 Perfect for sandwiches, salads and platters. 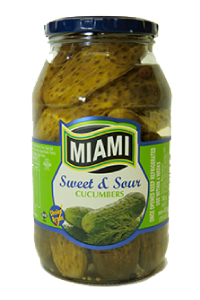 Fresh cucumbers conveniently sliced and pickled in a sweet & tangy flavoured vinegar brine. 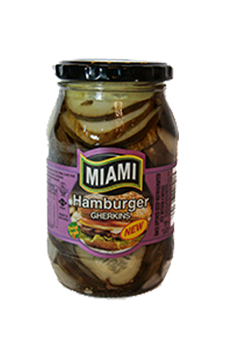 Perfect for hamburgers. 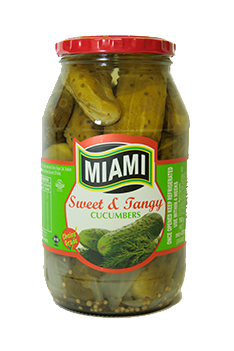 Fresh cucumbers conveniently sliced and pickled in a sweet & tangy flavoured vinegar brine. 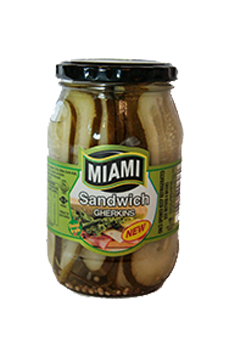 Perfect for Sandwiches. 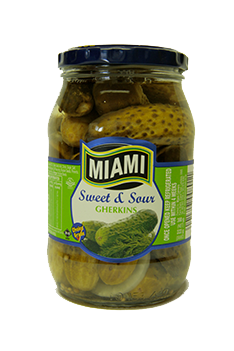 Fresh Gherkins conveniently sliced and pickled in a sweet & tangy flavoured vinegar brine. 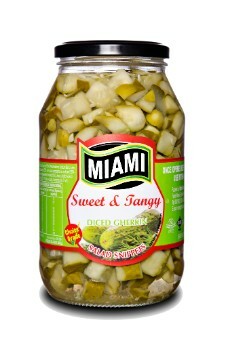 Crunchy fresh diced cucumbers and onions pickled in a sweet & tangy flavoured vinegar brine. 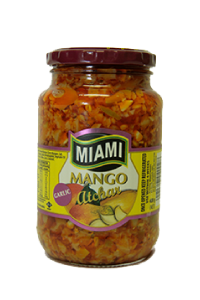 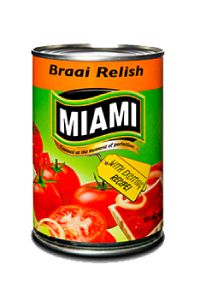 Perfect substitute or base for a salad. 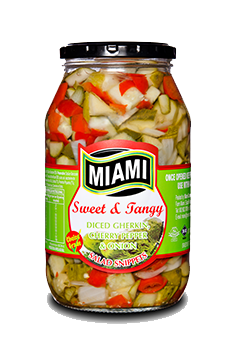 Crunchy fresh diced cucumbers, onions and cherry peppers pickled in a sweet & tangy flavoured vinegar brine. 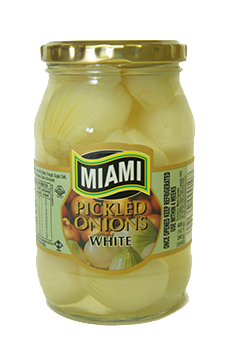 Perfect substitute or base for a salad. 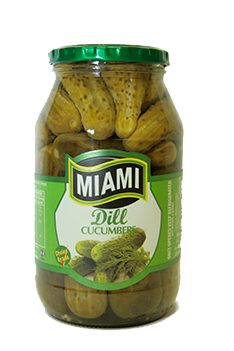 Crunchy fresh cocktail sized gherkins pickled in a dill flavoured vinegar brine. 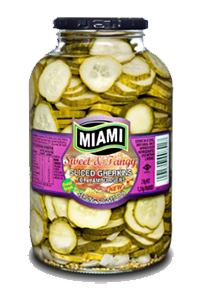 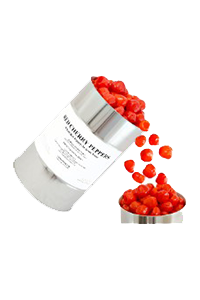 Perfect for summer vegetable or cold meat platters. 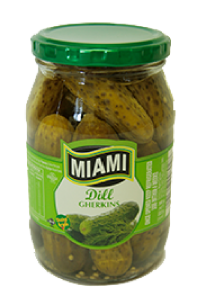 Crunchy fresh gherkins pickled in a dill flavoured vinegar brine. 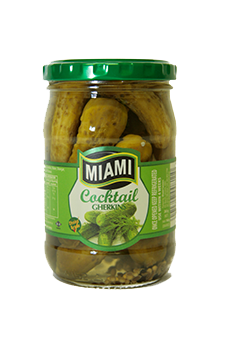 Perfect for sandwiches, salads and platters. 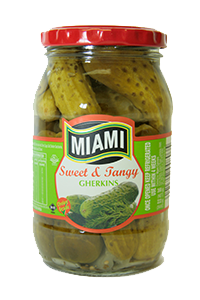 Crunchy fresh gherkins pickled in a sweet & sour flavoured vinegar brine. 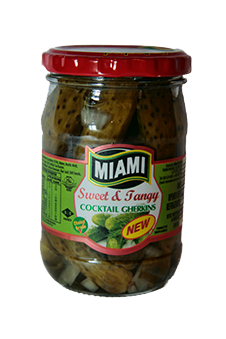 Perfect for sandwiches, salads and platters.